There may be talk of Plan Bs and Plan Cs but Joe Schmidt must go back to basics for Ireland's trip to Scotland, according to Bernard Jackman. 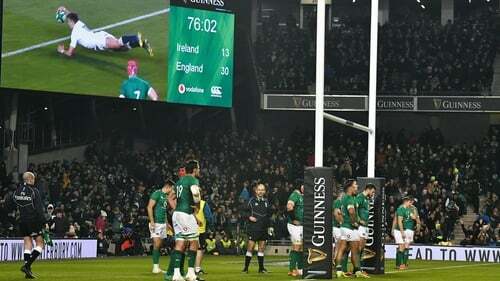 After opening the defence of their Guinness Six Nations crown with a dispiriting 32-20 loss to England, Ireland know anything less than a win will end their title hopes. Ahead of Saturday's Murrayfield match-up, former Ireland international Jackman told the RTÉ Rugby Podcast: "Scotland play a high tempo, they throw quick lineouts, they tap free kicks and go. "We can’t get caught up in that game. We’ve got to go back to the game that England played against us, which is power, kicking, territorial dominance and put the squeeze on them. "We need to make sure our set-piece possession is clean. "I don’t think their pack will be able to live with ours if we get back to where we were at. "There will be a reaction from Ireland, there has to be."